The most thankful name in the world is, “mother.” “Our Mother” Writing and Photo Exhibition finished at the Gangnam Church in Seoul, Korea, after 13 days’ exhibition from June 20th to July 4th; it was to remember mothers who are the byword of unconditional and devoted love, and to deliver thanks and love to them. 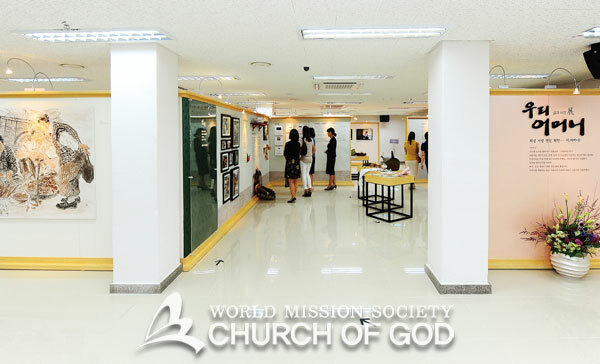 The exhibition was hosted by the Church of God and organized by the Melchizedek Publishing Company. This event was planned to deliver a streak of hope and warm consolation to people nowadays who have grown tired with their busy and hard lives, gradually forgetting their mothers, by reminding them of the love and sacrifice of mothers who were their eternal home. 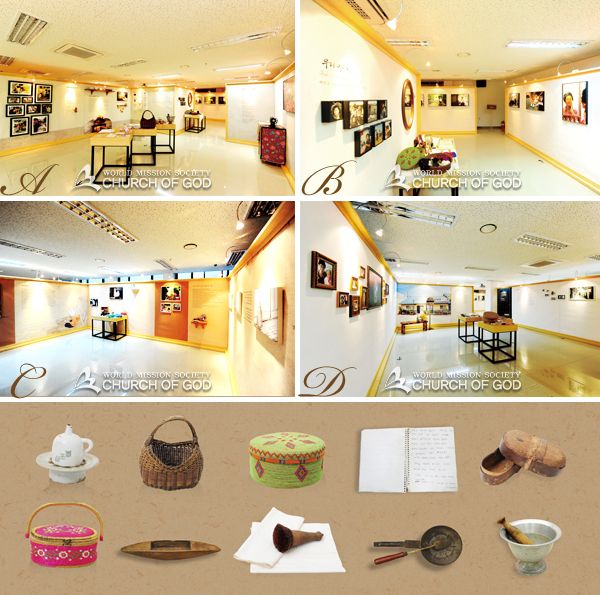 The exhibition, subtitled “Sacrifice, Love, Compassion, Remorse . . . O Mother,” consisted of four themes: “Mother,” “She,” “Again, Mother,” and “It’s Ok.” It displayed 29 literary works and 21 photographs from distinguished writers and readers who submitted their works to Melchizedek Publishing Company, and 46 objects that contain memories and reminiscences about mothers and hometowns. Besides the four theme zones, special events were prepared at the side event rooms: The “Video Literature” showed four visualized literary works whose theme was mothers’ love and sacrifice; the experience room named “Call Out Mother” allowed visitors to call out “Mother,” the name that they longed to call out, as much as they wanted; the “Mailbox of Love” corner offered postcards so that visitors could write down words which they could not say to their mothers before on the postcards and send them to their mothers; at the “Photo Zone: ‘Say Eomonee,’ ” the Melchizedek Publishing Company took pictures of visitors and printed them for free as souvenirs of good memory; and lastly, at the “Book Café,” visitors shared their feelings about the exhibition with refreshments in the place where literary stories published by Melchizedek Publishing Co. were equipped. Various visitors came to the exhibition: students, housewives, office workers, journalists, professors, writers, political figures, and so on. The total audience was about 7,000, and they responded positively. Citizens passing by the street, too, saw the posters at the entrance of the exhibition and came in and left inspired, saying that they would come again with their friends and family.